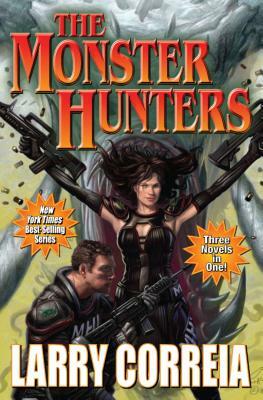 THREE novels in the New York Times best-selling series in one volume - the first three entries in Larry Correia's Monster Hunter series described as Dirty Harry meets Twilight. Monster Hunter International, Monster Hunter Vendetta and Monster Hunter Alpha in one huge volume Two New York Times bestsellers in together for the first time, and the first three entries in Larry Correia's blockbuster Monster Hunter series. Larry Correia is an award-winning competitive shooter, a movie-prop-gun master and, yes, an accountant by day-but an urban noir adventure master by night. He is the creator of the Wall Street Journal and New York Times bestselling Monster Hunter series as well as urban fantasy hardboiled blockbuster saga, the Grimnoir Chronicles. Correia is very tall, very bald, and lives in Utah with his wife and family.